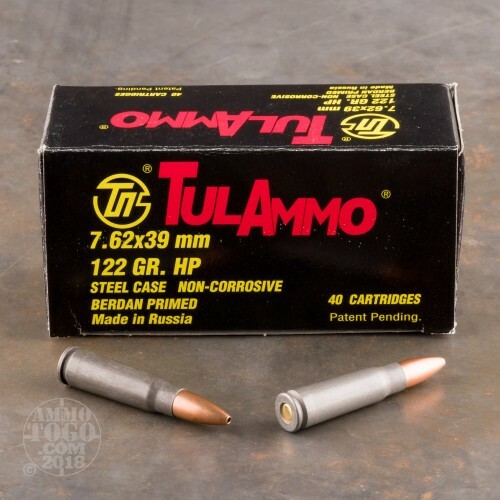 Suitable for both hunting and target use, this versatile 7.62x39mm ammunition from Tula is an excellent choice for your AK or SKS rifle. 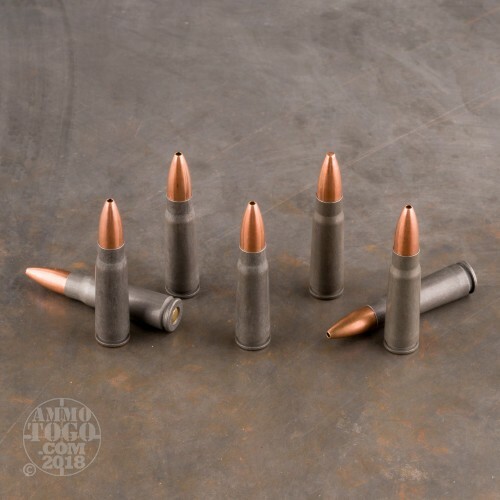 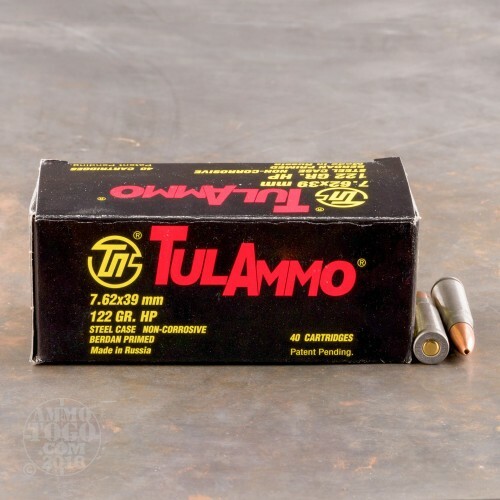 Each cartridge in this box of 40 fires a 122 grain hollow point bullet and produces typical ballistics for this caliber with a muzzle velocity in the 2,300 fps range. 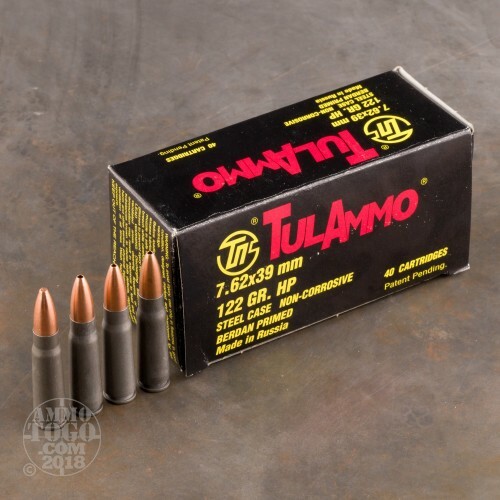 Tula ammo is loaded in Russia and uses non-corrosive Berdan primers and non-reloadable steel cases; the cases are polymer coated for improved cycling in semi-automatic firearms.